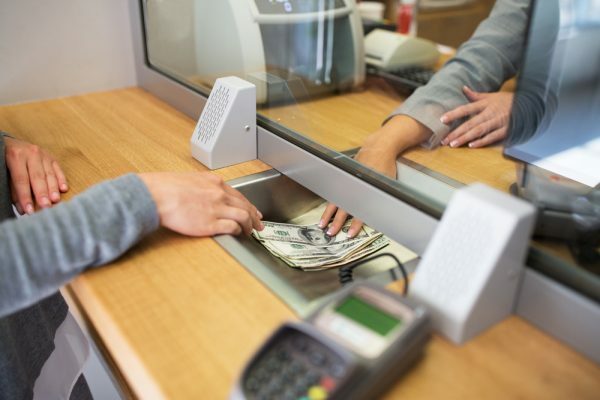 One of the travel essentials that many Singaporeans don’t pay attention to is money exchange. You will often find large numbers of travelers seeking to exchange money at the airport at the last minute. Given the myriad of reliable money changers across the city, Singaporeans aren’t savvy when it comes to finding money changers with the best exchange rates. Well, if you are exchanging a relatively small amount, then where you choose to trade the money doesn’t really matter. But if you’re changing a huge amount, then finding and comparing different exchange rates becomes a priority as you want to save money or get a good deal for your money. For instance, you wanted to exchange your S$1,000, and one money changer gives you US$700, and another money changer offers you US$730. There is a whole lot difference of US$30, it may sound like it’s too little, but that amount can get you’re an Airbnb apartment for a night, a Secret Hollywood tour or even a sunset BBQ dinner at the Griffith Park that could leave you with an extraUS$5 for spare. To help you get some value for your money, here are the top 5 reputable money changing hubs; The Raffles place at the Arcade, Mustafa Centre, little India, People’s Park Complex, Chinatown, Lucky Plaza Orchard Road, Parkway Parade Mall, Marine Parade. Situated at the heart of the business district, the Arcade at the Raffles Place is the most favored place to get money exchanged for both local professionals as well as business travelers. The Arcade hosts a plethora of money exchanges you will just get spoilt for choice. The money changers here offer you great deals with reasonable rates for various currencies. Due to huge competition from the many exchangers, the attendants have great communication as well as client-friendly services when serving you. Some of the most popular money changers at the Arcade include Arcade Money Changer and Arcade Plaza Traders. The last-minute shopping mall Mustafa center is a popular 24-hour retail mall that is well known for late night shopping and travelers. Mustafa Centre is an ideal destination to exchange money particularly when you need an emergency conversion in case of an international deal or spontaneous holiday. The place is quite convenient for everyone who doesn’t have time during the day to exchange their money. So, if you left your travel errands to the very last minute, you have no excuse of changing money at the airport. Just head over to Mustafa late in the night and get yourself amazing exchange rate especially for the Asian currencies. Located in the cultural neighborhood of Little India, the licensed money changer is a 5-minute walking distance from Exit G of the Farrer Park MRT. People’s Park Complex is an old building and one of the most popular places to exchange money in the heart of Singapore’s Chinatown. The complex has a number of money changers that allow exchangers to compare prices before transacting. This is the perfect place particularly if you want to purchase Hong Kong or Renminbi dollars. The old shopping mall has about 20 money changers which bring about stiff competitions. In fact, this place offers bargaining power where the more you exchange, the better the rates for you. However, bargaining in this mall requires some good practice, or you may end up not achieving anything. As you might also guess changing money here may not be for the faint-hearted. The crowds can be huge, and some don’t seem to understand the value and concept of queuing. Orchard Road is well-known to be pricey when it comes to shopping, but there is one thing you can never go wrong when here—great rates for foreign currency especially for exchangers looking to buy Philippine pesos. Just like the Arcade and the People’s Park Plaza, there are about 20 lucky plaza money exchangers, and since tourists and foreign workers like to flock around here on weekends, you can expect a high supply of currencies particularly for Southeast Asian countries. You don’t have to worry about getting scammed as all the money changers here are all licensed, just be keen to walk around comparing rates—it’s not so hard as all the stores are located either at B1 or Level 1. If you were traveling, you could head straight to the airport as direct airport bus service is just around. If you want quick services, avoid Sundays as the place is choked-full of foreigners that engage in remittance service. Parkway parade shopping center is a six-story building carrying approximately 300 shops. Singaporeans living in the East region have a better option to make as far as money exchange is concerned. Parkway parade is the ever-standing mall famous for having quite a number of money changers located on the first floor. Their proximity to one another also makes it possible for one to walk from one shop to another comparing the exchange rates. So, instead of rushing at the very last minute around the airports to have your money exchanged, these five destinations could help you save some bucks. Airport money changers can be quite expensive, and their rates might be very unfavorable for any value-for-money oriented individual. How can you get exposure to indices like the Dow Jones?